This week we are introducing another great feature in XL-Connector and wanted to give you a heads-up. 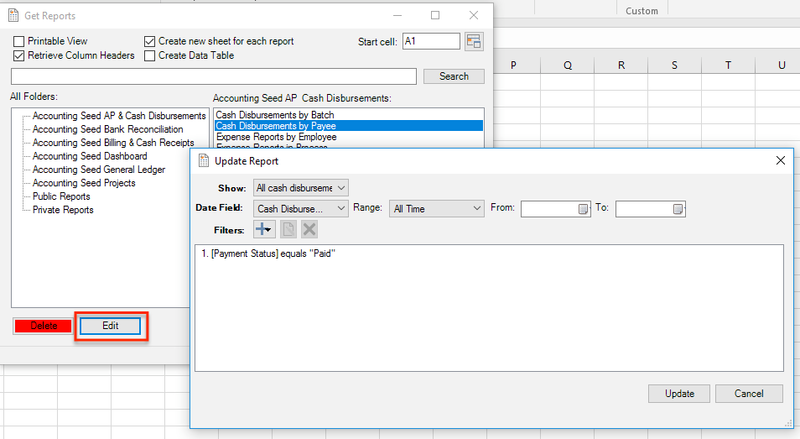 Now you can edit and save report filters directly from Excel, no need to go to Salesforce to change that any more. Simply select the report you want to edit and click on the Edit button. Please note, that you will need a license to access this feature, it is also available for 30 days in all free trial accounts.